Express your creativity with the traditional round Vintage Whale Clock that features an attractive rustic design. 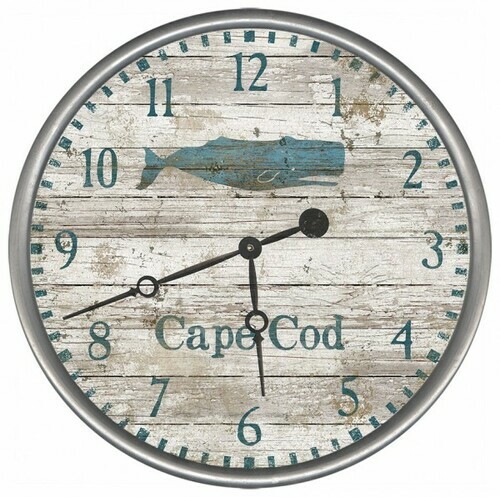 Each clock design is framed in a rustic metal ring. Your choice of three sizes which you can customize with your favorite location. If you choose a custom location, please indicate the location in the Special Instructions box at checkout. Available in four sizes: 15", 18", 23" and 30"
Made upon order in 2 weeks. Eligible for return with 25% restocking fee. Please view our return policy for more information. Ships USPS ground.